It's never been easy to park near The Valley on Charlton's matchdays. So before the club generously offered me a spot in Valley Grove behind the away end, I tried my luck up on the heights around Charlton House, which made it a piece of cake cruising down Charlton Church Lane, but not so pleasant toiling uphill later on, especially when we lost. 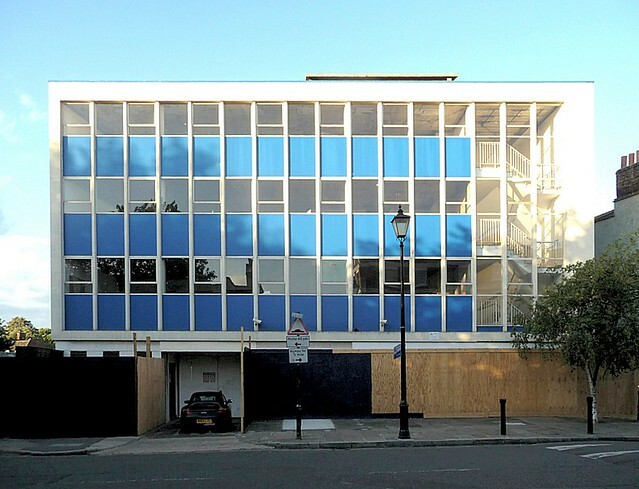 When the University of Greenwich demolishes John Humphries House in Stockwell Street this year to make way for its new School of Architecture, it will be the end of a building which once upon a time was part of the white heat of new technology. 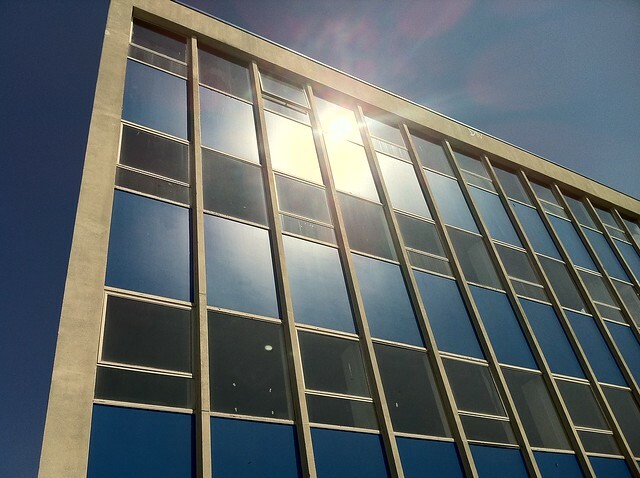 A building that to many just looks like a dated office building had been at the forefront of the computer revolution fifty years ago and provided a lead in showing how local authorities could pool services and resources to maximise efficiency. 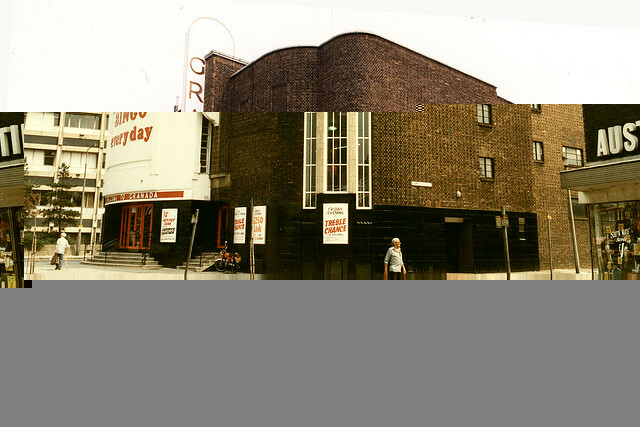 The site itself on the eastern side of Stockwell Street had originally been ear marked for a road widening project. In November 1950, councillors from the Metropolitan Borough of Greenwich’s Works Committee adopted a scheme to widen Stockwell Street to deal with "the increasing amount of traffic using the thoroughfare." As some of the buildings on the eastern side had suffered damage in the war, it was thought that they would need redeveloping anyway, thus creating an opportunity to buy and demolish the buildings. The council set about buying up the land necessary to widen the Stockwell Street from the junction of Burney Street to Greenwich High Road. By April 1961, the council had acquired parcels of land in Stockwell Street but still had to acquire numbers 4, 3 (Sabo’s newsagent) and 2 (the Spread Eagle) if it was to proceed with its widening scheme. 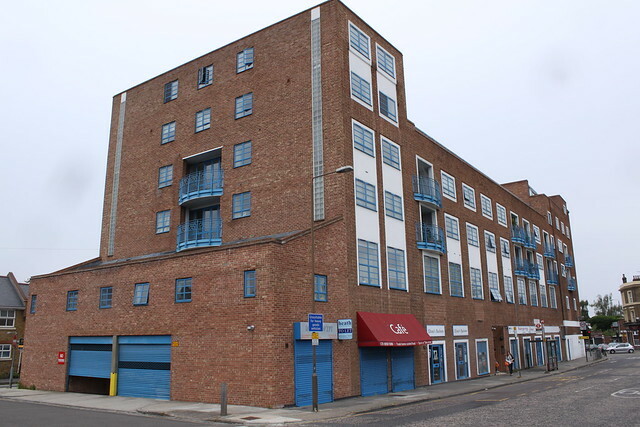 Following a change of heart, councillors decided to “avoid the necessity for purchasing the additional property,” although the council did also subsequently purchase number 4 Stockwell Street, by shifting the scheme across to the western side of the street. Around about the same as the council found itself with plots of land on the eastern side of Stockwell Street that would no longer feature in the widening scheme, it also was looking for a base for an exciting new project – a computer centre. Computers had been used for processing activities such as payroll several years and organisations that did not own a computer would purchase processing time on commercial computers. 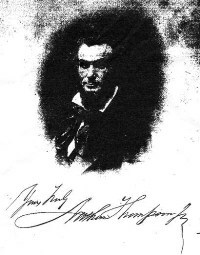 One man who had worked extensively with the new computers was the Treasurer of the Borough of Greenwich - Mr John Henry Humphries. Humphries, born in 1904, moved to London from West Hartlepool in the mid 1920s, where he first worked at Hammersmith Council, then Stoke Newington before joining Greenwich Council in 1934. His rise was quick, going from Assistant Borough Treasurer to Deputy Borough Treasurer and then Borough Treasurer in three years. Humphries has been described as a “pioneer in the application to municipal accountancy of electronic computers” and his department was involved in a complete rewrite of the payroll application on a commercial computer to cope with a newly introduced graduated pension scheme. He was also one of the key architects in the formation of the London Boroughs’ Joint Computer Committee. The JCC included the Metropolitan Borough Councils of Bermondsey, Camberwell, Deptford, Greenwich, Southwark and Woolwich and was created with the intention of purchasing a shared computer so that the member boroughs could pool their data processing requirements. 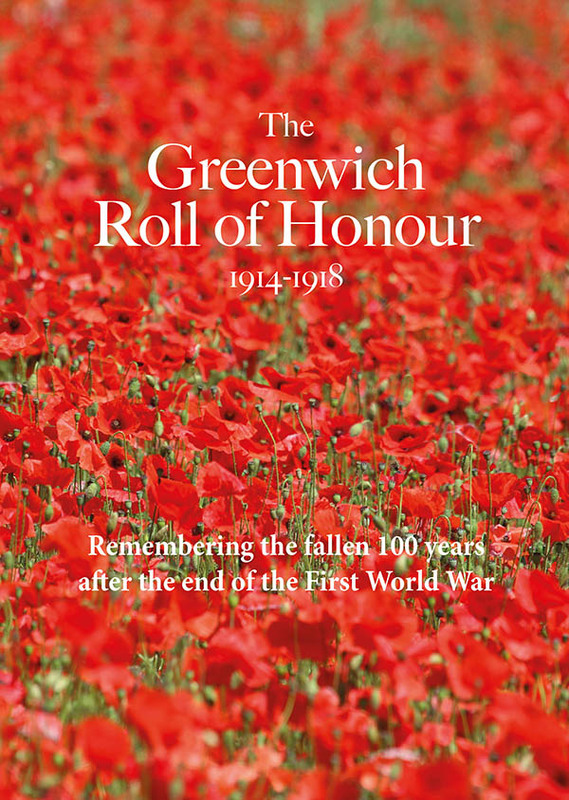 Greenwich’s lead role in the project is illustrated by the decision to make Greenwich’s Town Clerk and Borough Treasurer (Humphries), the Clerk and Treasurer for the JCC respectively. 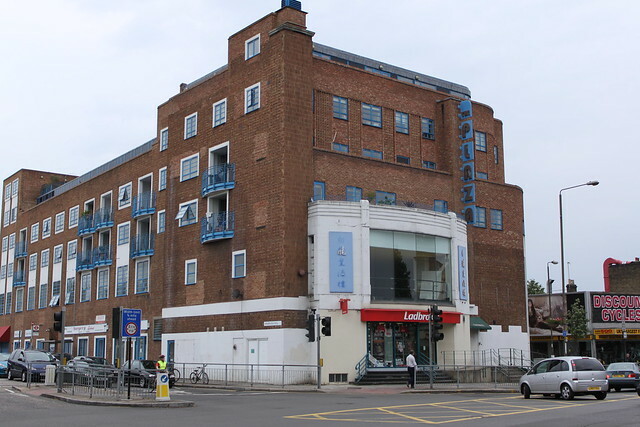 Stockwell Street was chosen as the site for the JCC's new Computer Building and contractors for its construction were appointed in July 1962. GE Wallis and Sons of the Strand successfully tendered for the construction contract at a cost of £104,762. 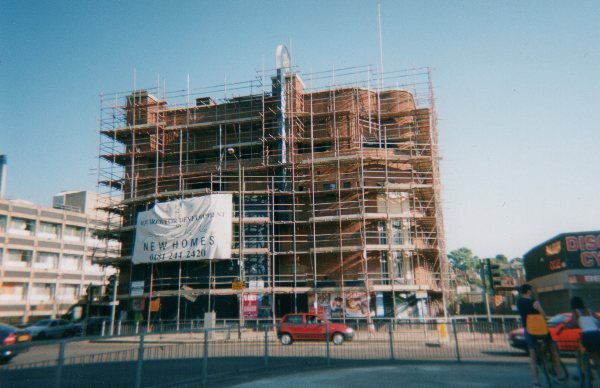 W.H Penfold and Sons of Lewisham got the £579 contract for the demolition of existing buildings on site before the work could begin on the Computer Building, as it was known. Inside the Computer Building would be a LEO III, ordered from Leo Computers at a cost of £202,008. 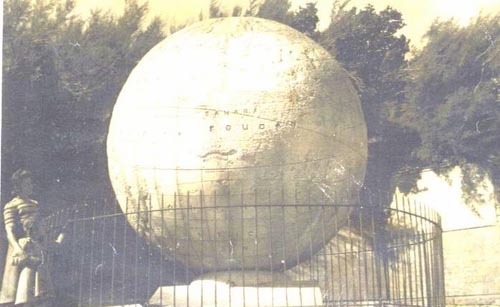 It was the fourth installation of LEO’s third generation machine and was known as LEOIII/4. Photo of the LEO III/4. 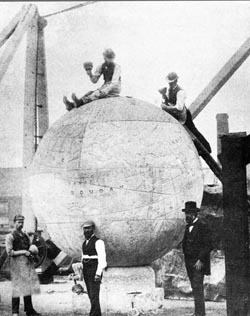 In his article for the Greenwich Industrial History Society, Harry Pearman explains more about the LEO III. “Files were stored on magnetic tape reels and data was entered by completing batches of forms, which were punched onto paper tape. Programs were written in a wholly numeric language called Intercede, and the primitive operating system required a great deal of operator intervention. LEO's principal benefit was the ability to print forms and tabulations at speeds of up to 1,000 lines a minute. 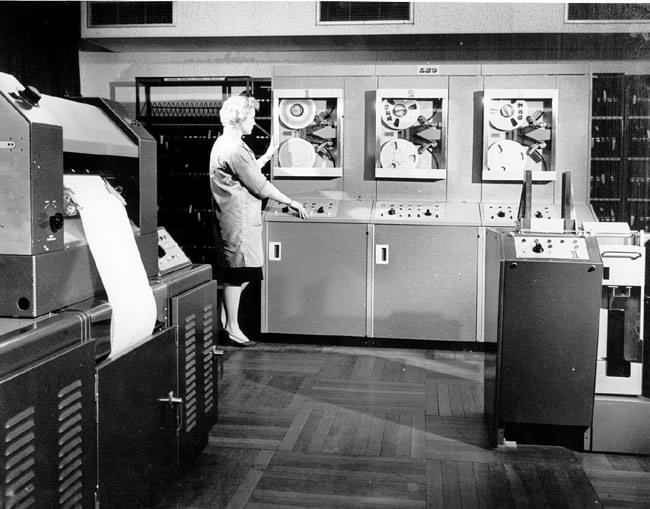 The LEO computer was used at John Humphries House until 1975. By that time, local government had been re-organised – the London Borough of Greenwich had been created - and it was also becoming cheaper for organisations, and even home users, to own their own computers. The building was still used by other council departments – Planning was based there for a time - but it was subsequently sold to a private owner. 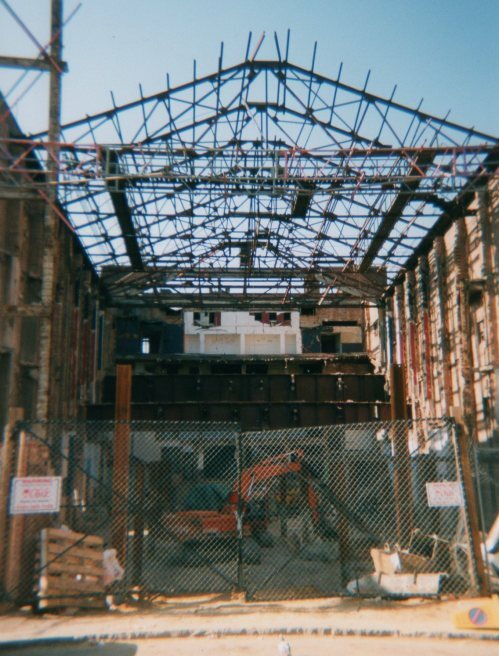 As the council moved out, the building and its annex became home to a wide variety of small businesses and art studios. The Village Market was set up in the car park and would take place every weekend, causing much disappointment when it closed in 2009. Various attempts were made by developers to revamp the site and do away with John Humphries House, and planning permission was given for a large mixed use development but when the housing market tanked, developers shied away from the risky project and the University of Greenwich stepped forward with a plan to redevelop the site and build a new library and School of Architecture. John Humphries House will soon disappear from the local streetscape but its legacy will be in the pioneering use of computers and demonstrating a way in which boroughs were able to work together on shared services to create efficiencies – something that politicians still aspire to achieve today. 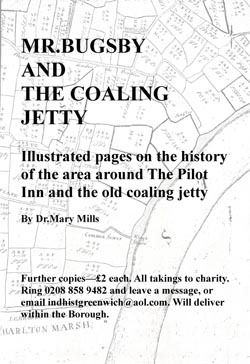 Thanks to Greenwich Heritage Centre, Harry Pearman, Leo Computers Society and Dr Mary Mills. Did you work at John Humphries House? Did you know John Humphries? Share your memories in the comments below.